Rhema sings quite a lot for a child her age and she knows many worship songs. We watch “Jesus Culture” worship with her often and also “Hillsong” worship. She knows so many of songs from both groups. I hear her sing songs while she is playing and I was so happy to catch her singing this AND actually get it videoed for ya’ll to see. How humbling it was, and still is to me, to hear my precious 3 year old daughter sing, “You work all things together for my good….” She has been sitting for 5 weeks with no other movement allowed, with two huge casts on her legs, headed into another surgery in the next few weeks and still she sings, “You work all things together for my good….” Wow…… just, wow….. I admit, lately, it’s been hard to see how all these challenges can be positive; I sometimes struggle with concern over all this scaring her for life. Now, I know God can heal all things, but it is a concern for me –what part do I play in keeping her healthy emotionally and mentally with all these traumatic hospital interventions? I pray Jesus shield her and give her peace, we keep things light and as fun as we can, but the reality is soon she will be put to sleep again and have more procedures done and then MORE casts put on for another set of three weeks. Sigh. It’s the path before us. We do not walk alone; we’ve been blessed with wonderful family and friends who pray and support us. Most importantly, our Precious Jesus walks with us all the way too; He is the ultimate companion for this kind of journey. So, yes, we believe that Jesus WILL “work all things together for ‘all our’ good”….. I love hearing the reassuring voice of my Lord being sung my by 3 year old. What a precious gift. What a precious girl. 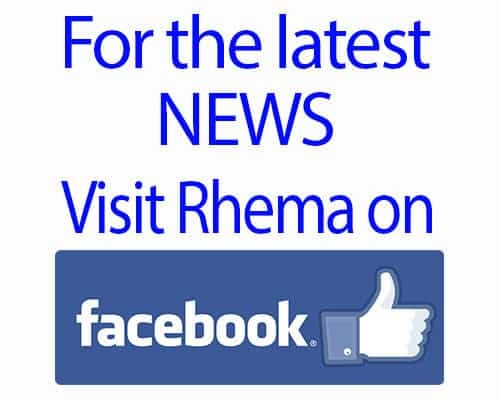 What a blessing to have Rhema! What a blessing we have in JESUS! PS. We are off to church and to our “nook” to meet our Jesus in the secret place. (The closet behind the sound-booth) LOL! Blessings to all who read this wherever you may be…….And once again, in case you forget, “You Jesus, work all things together for my gooooood”….